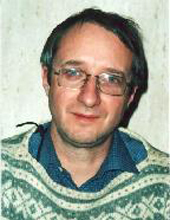 Alexey Geynts (Heintz) is a professor in applied mathematics. His research area is kinetic theory of mass transport, particularly in heterogeneous materials. He also conducts research in geometric dynamics of surfaces with applications to biological membranes. A new consistent discrete-velocity model for the Boltzmann equation. Entropy inequalities for evaporation/condensation problem in rarefied gas dynamics. Initial-boundary value problems in irregular domains for nonlinear kinetic equations of Boltzmann type. Transport Theory and Statistical Physics. Vol. 28 (2), p. 105-134. On the solvability and asymptotics of the Boltzmann equation in irregular domains. There might be more projects where Alexey Geynts participates, but you have to be logged in as a Chalmers employee to see them.